I’m back! Its been a little crazy but I’m back and I’ve got goodies!! 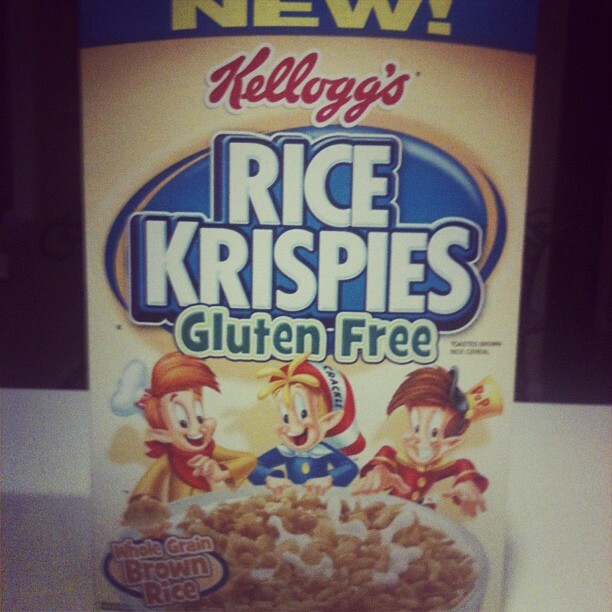 I have been on the hunt for gluten free Rice Krispies since I found out that they even existed and my mom and little brother FINALLY found them! So to celebrate of course I HAD to make Rice Krispie treats. 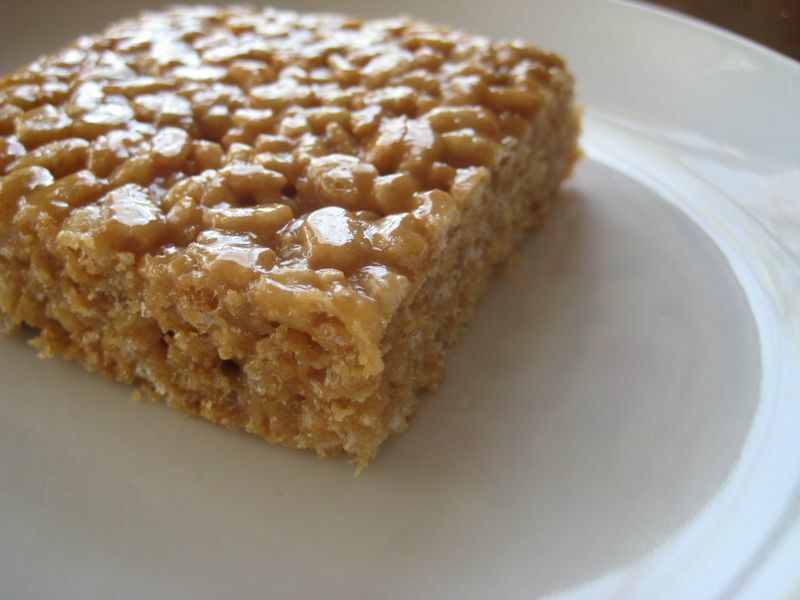 Not just any old ordinary Rice Krispie treats, PEANUT BUTTER Rice Krispie treats! Thanks Snap, Crackle and Pop! Marshmallows and Peanut Butter! Hello delicious! Stir in peanut butter until melted. Add in Rice Krispies cereal. Stir until well coated. Cool. Cut into 2-inch squares. Rice Krispie treats always taste best if served the same day. I’m sure with these, you’ll have no leftovers! I cannot wait to make other delicious rice krispie goodies! 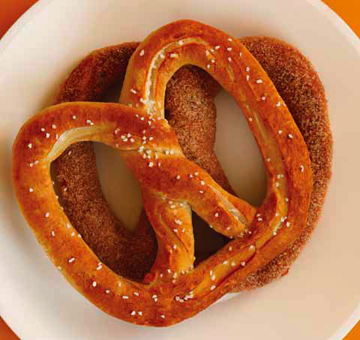 Happy National Pretzel Day everyone! For us gluten free guys and gals, pretzels seems like a thing of the past. One of my favorite things to do when I was a little girl was to go to the mall with my grandma and get a warm pretzel from either Pretzel Time or Auntie Anne’s with butter (no salt) or cinnamon sugar mmm. That memory always makes me smile and now I can hold onto those memories and that delicious pretzel taste all at home! 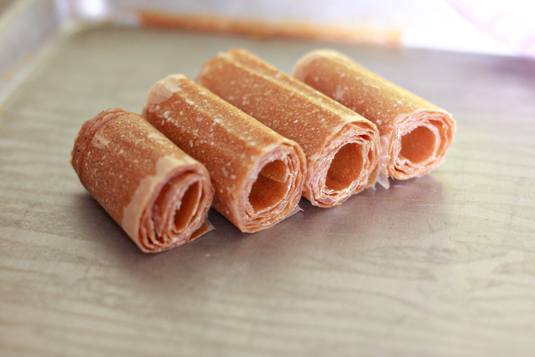 If you want thick pretzel sticks, just cut your dough into the pretzel rods that you wand instead of forming the pretzel shape. In a large bowl, mix together the yeast, hot water, brown sugar and the dash of salt. Allow the mixture to rest for about five minutes. In a medium-sized bowl, mix together the rice flour, tapioca flour, potato starch and xanthan gum. Add half of this mixture into the yeast mixture. Using an electric mixer on a low speed, blend all the ingredients together until mixed. 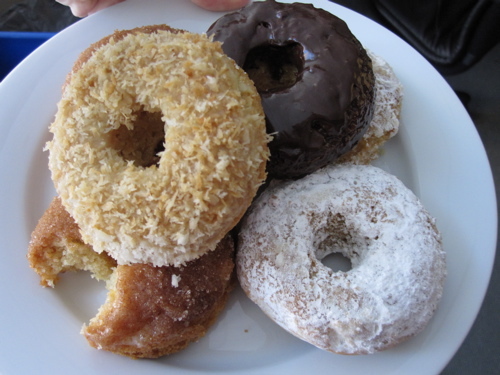 Combine the remaining flour mixture. Blend until combined, but try not to over mix. Use the vegetable oil to lightly coat a bowl. Transfer the dough to the coated bowl and rub a bit of oil all around the dough. Cover the bowl with a damp towel and allow the dough to rise in a warm place for about an hour. Preheat your oven to 550ºF. In a small, shallow bowl, mix the baking soda with 1/2 cup of warm water. Divide the dough into eight equal pieces and lay out a sheet of waxed or parchment paper. Use your hands to roll each piece of dough into a rope. The dough will be fragile. If it falls apart, gently piece it back together. Shape the rope into a pretzel. If the dough of the pretzel feels dry, use a few drops of the water/baking soda mixture to moisten it. Gently dip each pretzel into the water/baking soda mixture; then place them on a lightly coated baking sheet. Bake for about seven minutes until the pretzels are lightly tanned (not brown). Use a pastry brush to gently brush the butter on each pretzel. Sprinkle with the salt and serve immediately. Want cinnamon-sugar pretzels?! When the pretzels come out of the oven, coat with a generous helping of cinnamon-sugar! I am a snacker. I love to snacks. But of course you have to be careful with the snacks you eat because you can ruin your dinner (as my mother would say). Healthy snacks are always good and fruit snacks are the perfect healthy snack. I am quit fond of fruit snacks myself. They are great for traveling, at the gym for a quick energy boost or for just something sweet. 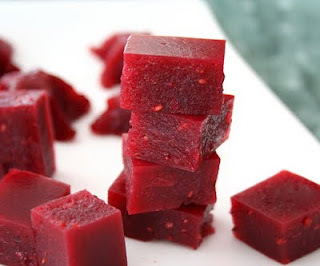 Here is a recipe for homemade fruit snacks! In a small saucepan over medium heat, combine the berries and water. Bring to a boil and cook until berries are soft, about 5 minutes. Transfer to a blender or use an immersion blender to puree berries until smooth. Return to pot. Add applesauce and return to a boil, then remove from heat, cover and set aside. In a large bowl, sprinkle gelatin over fruit juice and let stand one minute. Add hot fruit mixture and stir until gelatin completely dissolves, 3 to 5 minutes. Pour into 8 x 8 inch glass or ceramic baking dish (or into molds, if you want to do that and have some molds). 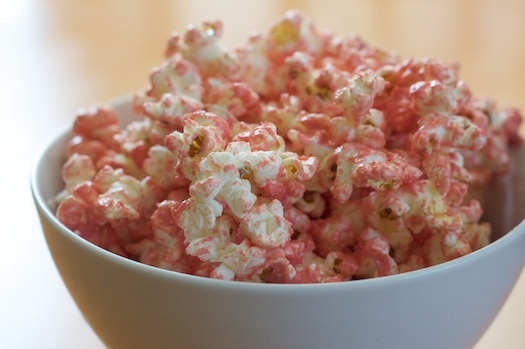 Spread the popcorn over a baking sheet lined with wax paper. Remember to take out any unpopped kernels. Melt 8 ounces of white chocolate until smooth. You can use a double-boiler to melt the chocolate, or put it in the microwave for 30 seconds at a time on medium power, stirring after each round. Once the chocolate is smooth, add a few drops of food coloring, and stir to blend. 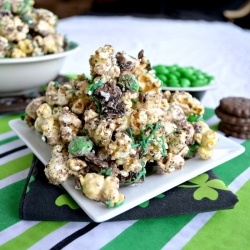 Use a spoon to drizzle the melted chocolate across the popcorn. Mix the popcorn around with the spoon to evenly distribute the chocolate. Then place the baking sheet in the refridgerator for 20 minutes to allow the chocolate to harden. Serve in a festive party bowl and enjoy!